TBS ordered Tracy Morgan’s new comedy to series, back in October. 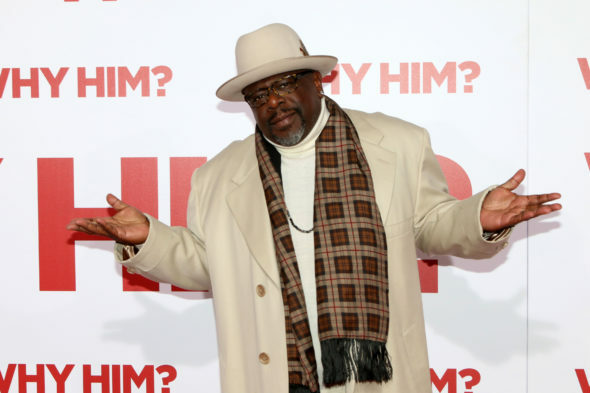 This week, during their Upfront presentation, the Turner-owned cable network announced the series is entitled The Last OG, and that Cedric the Entertainer, Taylor Mosby, and Dante Hoagland are joining the cast. The Last OG features Morgan as an ex-con who can’t believe how the world has changed while he was in prison. The TBS cast also includes Allen Maldonado, Ryan Gaul, and Tiffany Haddish. The scripted comedy was created by Jordan Peele and John Carcieri, who are executive producing with Morgan, Eric Tannebaum, Kim Tannenbaum, and Joel Zadak. Learn more from this TBS press release. Turner’s TBS has cast Cedric the Entertainer (Barbershop), Taylor Mosby (Criminal Minds) and Dante Hoagland (The New Edition Story) as regulars in the upcoming comedy series The Last O.G., starring multiple Emmy® nominee Tracy Morgan (30 Rock). They join previously announced regulars Allen Maldonado (Straight Outta Compton), Ryan Gaul (Identity Thief) and Tiffany Haddish (Keanu) in the scripted comedy. Produced by Turner’s Studio T, the series was created by Jordan Peele (Get Out, Key & Peele) and John Carcieri (Vice Principals), who also serve as executive producers with Morgan, Eric Tannebaum (Two and a Half Men), Kim Tannenbaum (Two and a Half Men) and Joel Zadak of Principato Young (Key & Peele). The Last O.G., is slated to launch later this year on TBS centers on Tray (Morgan), an ex-con who is shocked to see just how much the world has changed when he is released on good behavior from a 15-year prison stint. Returning to his newly gentrified Brooklyn neighborhood, he discovers that his former girlfriend, Shay (Haddish), has married an affable, successful white man who is helping raise Tray’s twin sons who he never knew existed. Wanting nothing more than to connect with his kids, but having neither the money to support them nor himself, Tray falls back on the skills he learned in prison to make ends meet while treading unfamiliar territory. The Last O.G. is the latest series to join TBS’s growing slate of premium comedy series. Last year, the network launched six consecutive hits, including five of cable’s top 15 new comedies of 2016: Wrecked, The Detour, Full Frontal with Samantha Bee, People of Earth and Angie Tribeca. TBS also claimed some of the most critically acclaimed comedies of the year, led by Full Frontal with Samantha Bee and Search Party, both of which earned 100% Fresh critical ratings on Rotten Tomatoes. All six of TBS’s 2016 comedies were renewed for new seasons. Joining the lineup this summer will be The Guest Book, an anthology comedy from writer/executive producer Greg Garcia. What do you think? How do you like the cast of The Last OG TV series? Do you plan to check out this new comedy when it premieres on TBS? More about: TBS TV shows: canceled or renewed?, The Last OG, The Last OG: canceled or renewed?